An Afghan man detained for 14 years in Guantánamo—without ever being convicted of a crime—was on Friday recommended by the Pentagon for release. The man, known as Obaidullah, was arrested and detained in 2002, when he was about 19, but the U.S. government failed to successfully prosecute him for any crimes, AP reported. Charges were eventually made against him in 2008, but were dismissed in 2011. This entry was posted in Civil Rights, Demonstrations & Protests, Government, Human Rights, International Agreements, Military, National Security vs Police State, Social Justice, Terrorism, War Crimes and tagged Atrocities, Civil Rights, Guantánamo, Guantanamo Bay, Human rights, indefinite detention, International Agreements, Security, social justice, terrorism, War Crimes on May 30, 2016 by ew. President Obama’s repeated pledges to close the Guantánamo Bay detention center have been routinely and deliberately undermined by his own Department of Defense, according to a damning new investigation published on Monday. This entry was posted in Civil Rights, Corruption, Government, Human Rights, International Agreements, Military, National Security vs Police State, Social Justice, Terrorism, War Crimes and tagged Afghanistan, Atrocities, Civil Rights, Corruption, Department of Defense, Guantánamo, Human rights, indefinite detention, International Agreements, Pentagon, Security, social justice, terrorism, War Crimes on December 29, 2015 by ew. After President Barack Obama agreed on Tuesday to sign a $607 billion “defense” bill that undermines his own plan to shutter the U.S. military prison at Guantánamo Bay, media outlets sounded the death knell for hopes that the facility will close before his term ends in 2017. This entry was posted in Civil Rights, Government, Human Rights, International Agreements, Media Issues, Military, National Security vs Police State, Social Justice, Terrorism, War Crimes and tagged Atrocities, Civil Rights, Guantánamo, Guantanamo Bay, Human rights, Hunger Strike, International Agreements, media blackout, Media Issues, NDAA, Security, social justice, Taliban, War, War Crimes, War on Terror, Yemen, Yemeni on November 12, 2015 by ew. Written by Andrea Germanos, staff writer for Common Dreams. Published September 11, 2015. Guantanamo prisoner Abu Zubaydah detailed the torture that the CIA inflicted on him to his lawyers, but that information won’t be making it to the public eye. U.S. government officials have blocked the release of 116 pages of defense lawyers’ notes detailing the torture that Guantanamo Bay detainee Abu Zubaydah says he experienced in CIA custody, defense lawyers said on Thursday. might now be described as exhibit A in the week’s Senate report. He has the regrettable distinction of being the first victim of the CIA detention programme for whom, as the report makes clear, many of the torture (or “enhanced interrogation”) techniques were developed, and the only prisoner known to have been subject to all of them. 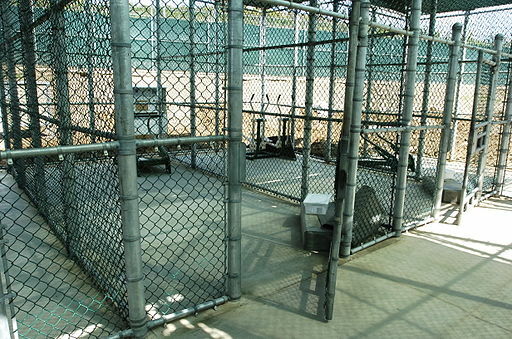 With no less than 1,001 references to Abu Zubaydah specifically, the Senate report confirms the Strasbourg court’s findings regarding the horrific conditions of detention and interrogation techniques to which he and others were subject. Margulies and lawyers for other detainees said that the decision showed that the Obama administration plans to continue declaring detainees’ accounts of their own torture classified. A Central Intelligence Agency spokesperson declined to comment. 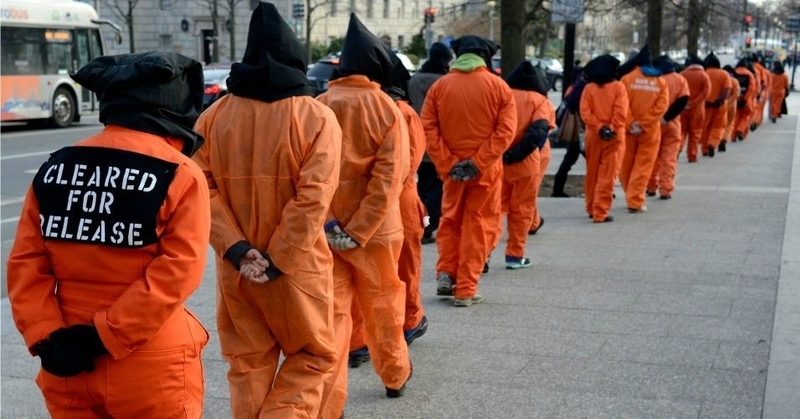 In January, the government modified its classification rules for the military commissions, the court system in which several Guantanamo detainees are being tried for war crimes. Under the new rules, the torture methods used in CIA prisons are no longer subject to classification, although any information that could reveal the locations where torture took place or the people who helped facilitate it remains secret. Zubaydah has always been one of the most significant prisoners in the “war on terror”, not because of what he did, but because of what was done to him. The torture program was developed for him, leading to him being waterboarded 83 times, and it evidently severely damaged him physically and mentally, from the hints dropped by his lawyers over the years. In addition, the Bush administration publicly claimed that he was a significant member of al-Qaeda, when that was untrue — and, it seems, both the torture and the lies told about him means that he will probably never be charged, although there is no prospect of him being released either. The decision to block Zubaydah’s torture details comes the same week as the book Rebuttal: The CIA Responds to the Senate Intelligence Committee’s Study of Its Detention and Interrogation Program, written by former intelligence officials, hits shelves. This entry was posted in Civil Rights, Government, Human Rights, International Agreements, Media Issues, War Crimes and tagged Abu Zubaydah, Atrocities, CIA, Civil Rights, Guantánamo, Guantanamo Bay, Human rights, International Agreements, media blackout, Media Issues, Security, torture, War Crimes on September 14, 2015 by MNgranny. By Sarah Lazare, staff writer for Common Dreams. Published 8-28-2015. 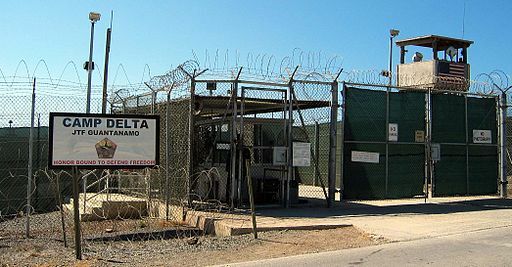 As the administration of President Barack Obama publicly floats the possibility of opening a “Guantánamo North” on U.S. soil, rights campaigners warn that a mere transfer of the men and boys to another prison across national borders will not rectify the grave human rights violations committed against them. “The Obama administration has its priorities in the wrong place,” Omar Shakir, a Center for Constitutional Rights fellow and attorney who represents detainees, told Common Dreams. 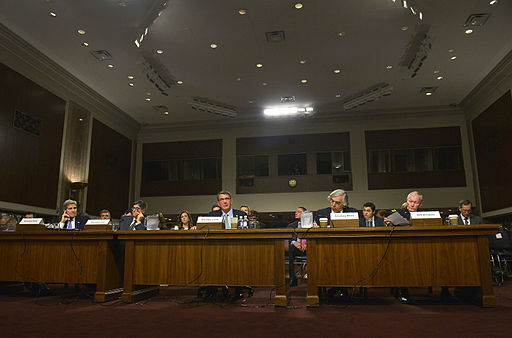 This entry was posted in Civil Rights, Government, Human Rights, International Agreements, Military, National Security vs Police State, Social Justice, Terrorism, War Crimes and tagged Atrocities, Civil Rights, Guantánamo, Human rights, International Agreements, interrogation, Security, terrorism, War Crimes on August 29, 2015 by ew.